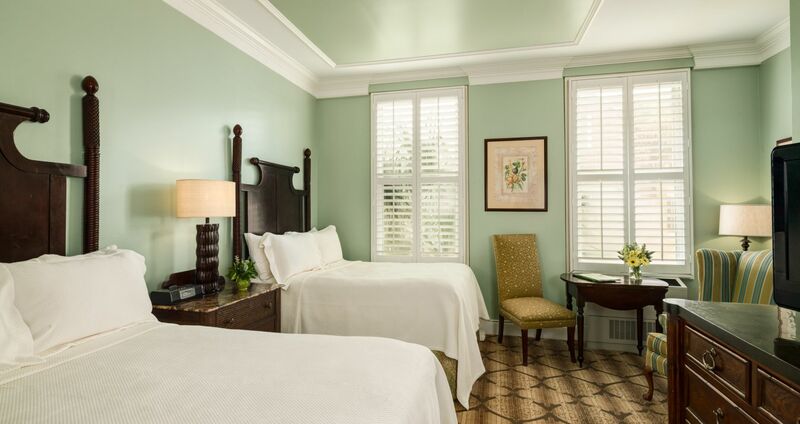 Our spacious Traditional guestrooms in downtown Charleston offer a relaxing retreat for guests, decorated in tasteful hues and furnishings. Boasting plush bedding and duvet, these charming boutique accommodations feature one king bed or two double beds. 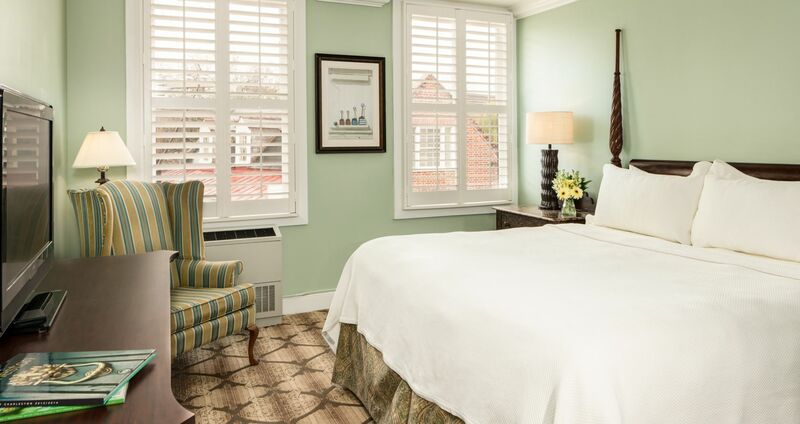 The Traditional Guestrooms are outfitted with modern in-room comforts, Italian Travertine porcelain tile and granite countertop bathrooms, and Gilchrist & Soames bath amenities.